Won for Best Picture; Best Director; Best Actor-Donald Crisp; Best Art Direction-Interior Decoration; Best Cinematography. Nominated for Best Actress-Sara Allgood; Best Film Editing; Best Sound; Best Screenplay; Best Score-Alfred Newman. Despite a fine pedigree, 1941's How Green Was My Valley mainly remains remembered not for its legendary director (John Ford) or solid cast (including Walter Pidgeon and Maureen O'Hara). No, folks remember Valley largely because it presented what many perceive as one of the great Oscar injustices: it took Best Picture over Citizen Kane, the film atop many best-movie-ever lists. Despite all my ranting against the Academy over the years, I won't decry this as a horrible injustice. However, now that I've seen Valley, I better understand the furor; while not a bad film, Valley certainly offers a dull, predictable piece of work that does nothing to differentiate itself from about a million other films about the troubles of working class families. Director Ford earned a lot of goodwill from me with his terrific Western Stagecoach, but much of that evaporated as I watched Valley. Again, the film seems competently made but it's so dull and flat that I had a hard time getting through it. I've seen so many of these "poor but proud family" dramas that they all come across exactly the same way; there's so little to make them stand out that I quickly become bored with them. That's what happened with Valley, though I don't know if I should really fault the movie itself for the tediousness of other efforts. After all, clich�s in 2002 may not have been clich�s in 1941, so I have no objective way of knowing how original or unoriginal the film was during its first release. All I do know is that I didn't care for it. Despite the lack of a compelling or creative story, the film could have succeeded better if the characters were more interesting. Unfortunately, they seem quite flat as well. The Morgan family of Wales packs in a lot of males, with a father and five sons; one daughter and a mother round out the package. Other than Huw (a very young Roddy McDowall), there's almost nothing that differentiates the brothers; they all seem like the same person. The daughter, Angharad (O'Hara), stands out just because she's the only younger female in the family; other than that, she's pretty dull too - her only distinguishing characteristic is that she has the hots for the new preacher, Mr. Gruffydd (Pidgeon). Told as a reminiscence from an adult Huw, Valley follows the trials and travails of the Morgans. They all work for the local coal mine, and when wages start to drop, the laborers strive to organize a union and deal with a mix of problems. This causes dissension in the community, especially when the paternal Morgan (Donald Crisp) opposes the actions of his sons. Eventually, work problems lead to the dissolution of the family. Some of the brothers want to head overseas to gain employment, and other mine-related issues cause trouble. The movie focuses on these as well as the obvious longings between Angharad and Mr. Gruffydd. That subject becomes more contentious when the mine owner�s son Iestyn Evans (Marten Lamont) seeks her hand and Angharad must choose between love and fiscal stability. We also watch Huw�s painful initiation into school, where he encounters bullies and a sadistic teacher named Mr. Jonas (Morton Lowry), and his later indoctrination into the world of the colliery. The film plods through these topics in a dull and sentimental manner. Really, the only surprise I found in this bunch came from the fact that the father provides a much gentler and more supportive presence than does the mother (Sara Allgood). Usually it's the other way around in this kind of film, but Mr. Morgan seems like a significantly nicer personality. Bizarrely, the film's trailer refers to Mr. Morgan as a "tyrant"; what movie that person watched is a mystery to me, because he came across like a really good guy. He also strives for Huw to get an education and better himself, which Beth mocks what she interprets as the impracticality of the material he learns. That turnabout offers the only surprise in the film. The rest of the picture meanders along predictably as we witness the usual working class melodrama. After the highs of Stagecoach, I hoped for another entertaining experience with How Green Was My Valley, but that wasn't to be. How Green Was My Valley appears in an aspect ratio of 1.33:1 on this single-sided, double-layered DVD; due to those dimensions, the image has not been enhanced for 16X9 televisions. 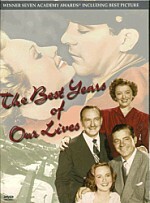 Of the first three films in the �Fox Studio Classics� line of reissues, Valley needed the least improvement. While the original versions of All About Eve and Gentleman�s Agreement didn�t look too hot, the old Valley actually presented a pretty solid image. This new version didn�t mark an improvement over the prior release, but it also failed to regress significantly from that edition. Sharpness generally looked positive. Some scenes came across as terrifically well defined, while others displayed light softness. The latter concern mostly affected a few interior shots, but much of the movie seemed nicely distinct and accurate. Jagged edges and moir� effects cropped up on a few occasions but remained rare and unproblematic. Unfortunately, some noticeable edge enhancement appeared occasionally, a factor that made some shots softer than I�d like. These also presented some moderately prominent halos at times. Though not without flaws, the film looked surprisingly clean for such an old movie. The occasional speckles or bit of grit appeared, but otherwise the film remained nicely clean and fresh. Black levels seemed appropriately dark and dense, while contrast usually worked well. A few shots looked strangely bright, such as one in which Huw looked out a window; his face seemed a bit washed-out for no apparent reason. Shadow detail generally appeared appropriate; a couple of shots came across as slightly thick, but most of them were well delineated. Overall, the picture of How Green Was My Valley has held up quite well over the years. Despite a mix of concerns, it still seemed well above average for a flick from 1941, so it earned a �B+� for its image. As with the new versions of All About Eve and Gentleman�s Agreement, How Green Was My Valley featured a stereo soundtrack that remixed the original monaural audio. The stereo Agreement totally stunk, while Eve seemed decent but still not as strong as the mono. Valley improved on the stereo tracks for both those films and stood as the only one of the trio whose mono mix didn�t come across as the best rendition. Actually, my comparisons between the stereo and mono Valley came out as a wash, as both demonstrated a mix of pros and cons. The stereo track didn�t broaden the soundfield tremendously. It showed some mild spread to the side speakers for its score, but otherwise it remained quite relentlessly bound to the center speaker. Indeed, I often found it difficult to tell which mix was which, as the stereo one stated so heavily oriented toward the middle. However, the score occasionally displayed surprisingly smooth movement to the sides. The music didn�t show distinct delineation of instruments, but it broadened acceptably within its constraints. Though much of the score stayed in the middle, the extra spread made the music slightly more involving. Some weird inconsistencies occurred, however. For example, at the 26:33 mark, the score�s soundfield shifted in an awkward manner. It displayed broader imaging at the sides, and since it did so in the middle of a cue, it seemed somewhat jarring. I�d guess this happened due to issues related to the source material, but it still appeared abrupt and a little distracting. The quality of the stereo track lost a few points when compared to the mono mix, though both still demonstrated their own strengths and weaknesses. The mono version demonstrated superior speech reproduction. Dialogue sounded surprisingly warm and natural in the mono track, whereas the stereo one suffered from a little tinniness. It didn�t display the annoying reverb that ruined Agreement, but the stereo version�s lines still came across as thinner than in the mono mix. Both the stereo and mono tracks displayed some distortion, but where I heard those issues varied. Speech came across as somewhat rougher in the stereo edition, while singing and music were edgier in the mono track. Really, the mono mix won mainly in regard to dialogue. The music and effects worked better in the stereo version, though the two remained pretty similar. Background noise also showed up in different ways dependent on the mix. The stereo track demonstrated slightly more prominent pops and clicks, but the mono version displayed more noticeable humming. The mono mix gave us modestly superior dynamic range, but the clarity also seemed looser. While some parts of the stereo track appeared slightly shrill, they also avoided the moderate denseness that occasionally marred the mono version. Ultimately, both the stereo and monaural tracks for How Green Was My Valley seem inconsistent but work acceptably well for a film of this vintage. This new �Studio Classics� release of How Green Was My Valley greatly expands that skimpy supplements found on the old release. Actually, on the surface, this collection seems sparse compared to the �Studio Classics� versions of Eve and Agreement, but the quality of Valley�s extras helps compensate for the lack of quantity. The new Valley includes an audio commentary that features actor Anna Lee Nathan and film historian Joseph McBride. Both were recorded separately for this edited, occasionally screen-specific track. For the three initial �Studio Classics� DVDs, this was the fourth commentary I screened, and it also came as the best of the bunch. Two of the prior three also included remarks from actors, but they spoke very sporadically. Though McBride clearly dominated the piece, Nathan still popped up with acceptable frequency. She added notes about the production, her impressions of the participants, and her thoughts on the film. The commentary heavily concentrated on McBride, however, and he offered a very nice chat. 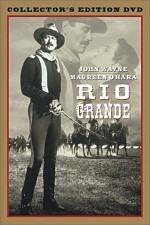 McBride documented many topics, from the origins of the production to events that took place on the set to elements of director John Ford�s career. While all of the prior commentaries suffered from copious empty spaces, this one rarely showed that concern, as the participants usually kept it in motion. Overall, this track offered a solid discussion of Valley. Next we find an episode of AMC Backstory that covers How Green Was My Valley. In this 24-minute and 25-second program, we get the standard mix of archival materials, movie clips, and interviews. We hear from filmmaker Peter Bogdanovich, film historian Rudy Behlmer, actors Roddy McDowall, Anna Lee and Maureen O�Hara, John Ford biographer Ronald Davis, the director�s grandson Dan Ford and art director Nathan Juran. The program goes through Valley�s journey to the screen as well as McDowall�s casting, the rough relationship between director Ford and studio head Darryl Zanuck, Ford�s general abrasiveness, and issues on the set. Some of the material appears in the commentary as well, but �Backstory� still provides a nice synopsis of the production. Some of these �Backstory� shows seem concentrate too little on the making of the actual films, but this one provides some useful details about the creation of Valley. Inside the Still Gallery, we find 55 images. These offer a mix of production photos, publicity shots, and ads. 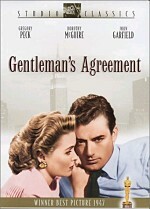 In addition to the theatrical trailer for Valley, we find clips for fellow Studio Classics releases All About Eve and Gentleman�s Agreement. All three offer trailers that apparently accompanied a post-Oscar reissue. Despite a mix of positive elements in regard to the DVD, I can't really recommend How Green Was My Valley just because I found the film itself to be a predictable bore. It seems well crafted and produced, but the story and the characters come across as dull and flat. The DVD provides positive picture quality along with decent sound and a small but informative roster of supplements. For those who�ve not seen Valley, the movie might warrant a rental to see the movie that topped Citizen Kane for Best Picture in 1941, but that's about the most I can say for this bland flick. As for folks who already own the old DVD of How Green Was My Valley, it might warrant an upgrade. Picture and sound quality seem to present no improvements over the original release, but the new version includes some nice extras that didn�t appear on the prior disc. If these interest you, the �Studio Classics� edition merits a look. Otherwise, you�ll probably feel content to keep the old DVD.